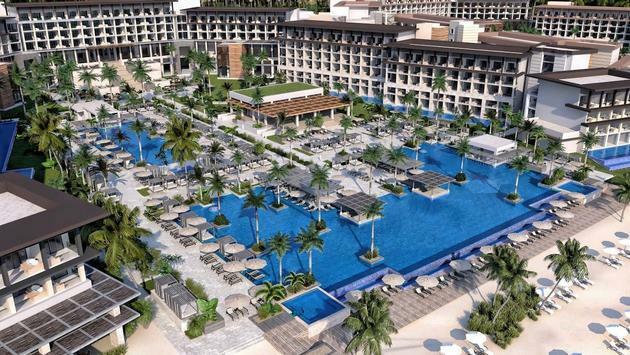 PHOTO: Hyatt Zilara and Hyatt Ziva Cap Cana. 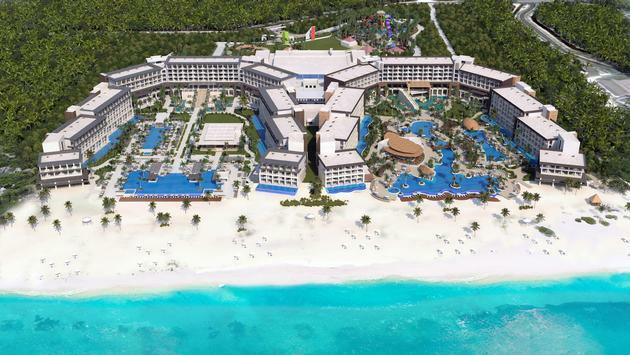 (photo courtesy of Playa Hotels & Resorts)Playa Hotels & Resorts will debut its award-winning Hyatt Zilara and Hyatt Ziva all-inclusive resort concept in gorgeous Cap Cana in Punta Cana, Dominican Republic in late 2019.Bookings are already open though so travelers can start planning right now.The 375-suite, adults-only Hyatt Zilara Cap Cana and the 375-suite, all-ages Hyatt Ziva Cap Cana will share 40-plus acres of prime oceanfront just minutes from Punta Cana International Airport.The two properties will follow a “Twin Resorts” concept aimed to optimize the guest experience. However, they will feature very different public spaces, architectural detailing and room design. For example, Hyatt Zilara will boast a lighter, sophisticated design highlighted by grand views while Hyatt Ziva will be more organic and playful. Nonetheless, every room will enjoy an ocean view.Guests will be blown away the moment they step foot in the lobby and take in stunning views of the pools and beautiful Juanillo Beach.Elevated food and beverage offerings spanning both resorts will include a coffee shop with feeling similar to that of a patisserie in southern France; Mongolian or Asian fusion cuisine, Italian and a Tahitian Restaurant with enticing basket seating. What’s more, guests will be able to dine in an actual train car while sports fans will be able to catch the game at a Caribbean-themed sports bar inspired by dive bars in the Northeast. One of the signature amenities the resorts will share is the fitness center, which will include more than 14,000 square feet of space for cardio, strength training, functional fitness, classrooms and stretching. It will mark the Hyatt Zilara and Hyatt Ziva brand’s largest-ever health and wellness facility. Meanwhile, guests will have access to all-new spa concepts developed specifically around Larimar, a rare blue gemstone unique to the Dominican Republic. Located in an underground area, the spa will feature a “salt cave” made of Larimar, a Hydrotherapy circuit designed to replicate a cenote and an Alchemy Lab where guests will learn how to make their own organic products. 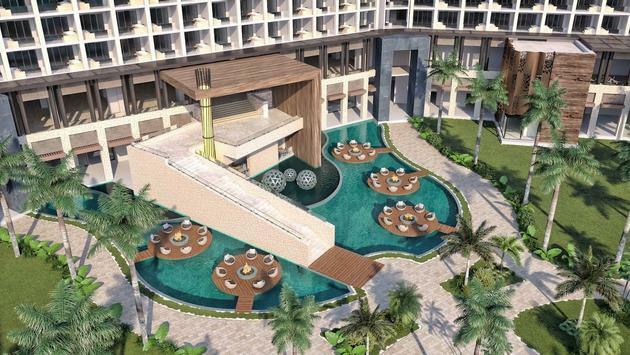 A first for the Hyatt Zilara and Hyatt Ziva brand, guests can also look forward to an expansive on-site water park offering seven slides and a lazy river, among other exciting features. Other shared amenities include more than 45,000 square feet of meeting and event space—including the main ballroom, over a dozen breakout rooms, a covered terrace and event lawn—a 300-seat open-air theater and athletic courts as well as a KidZ Club and Teen Zone for Hyatt Ziva guests. For more information on Hyatt Zilara and Hyatt Ziva Cap Cana, contact your travel agent or visit their website here.